The Pampeano Petalo Dog Lead matches the Petalo Dog Collar and features a design inspired by the iconic pampa diamond pattern, consisting of classic navy, pale pink and bright fuchsia threads. 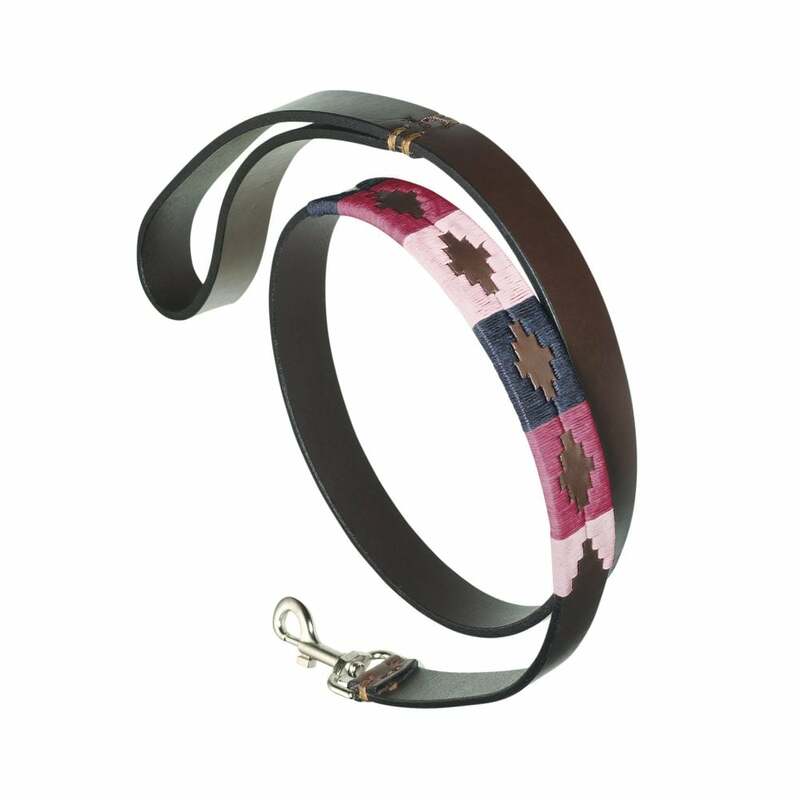 Like all of Pampeano’s dog collection, the Petalo pink and navy dog lead has been hand-crafted in South America by Pampeano’s highly skilled artisans who have practiced this native and iconic design for generations. The finest Argentine leather is hand-selected for its perfect quality and thick, strong structure. It is vegetable-tanned to produce its buttery handle and rich, Havana brown colour. The iconic pampa diamonds are hand-pressed into the leather to cut the shapes ready to be stitched. A single artisan then hand weaves the intricate vibrant pattern into the leather using strong, wax-dipped saddlery threads. This signature thread, originally used on Pampeano’s polo equipment, has been dyed into a kaleidoscope of colours, and is coated in wax to ensure that it is easy to clean, glides through the leather and does not rip or fray. Made to last a lifetime, the Petalo dog lead is here to last through a lifetime of country dog walks!